Before exhibition – Our colleagues spared no efforts to take a preparation for the exhibition, aiming at giving an excellent showcase for all the attendees. 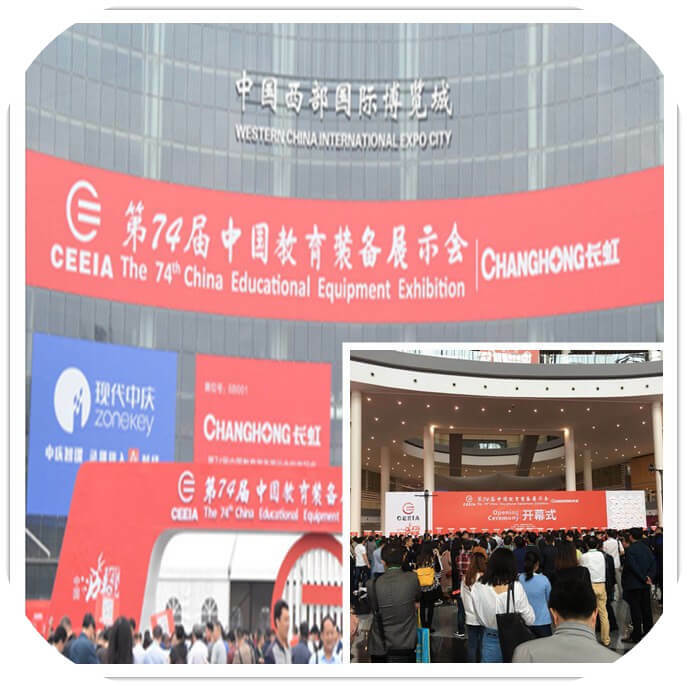 Ceremony - The 74th China Education Equipment Exhibition was held at Chengdu lasting 3 days from 11th to 13th, May. 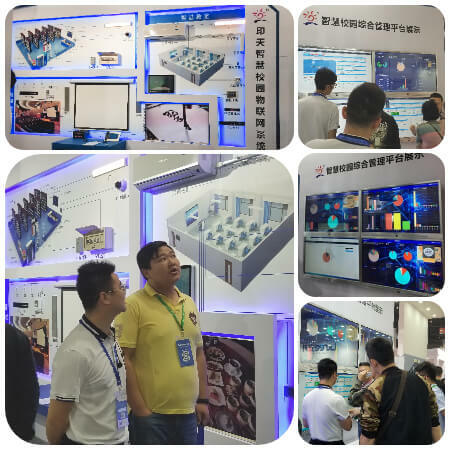 There are a large number of corporations, distributors and educators flowing onto the exhibition for viewing the newest technologies and equipment in the education field. 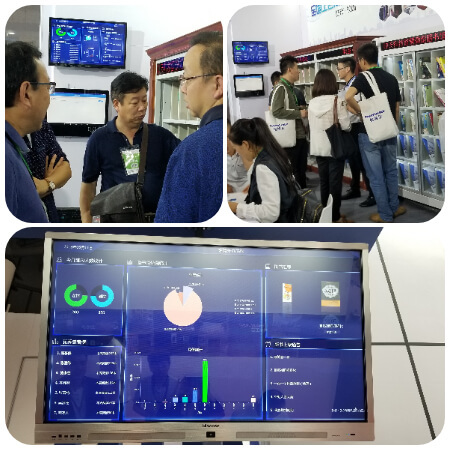 In the exhibition – Intech attended it with the popular products, including interactive whiteboard, smart library solution and smart IoT campus solution. 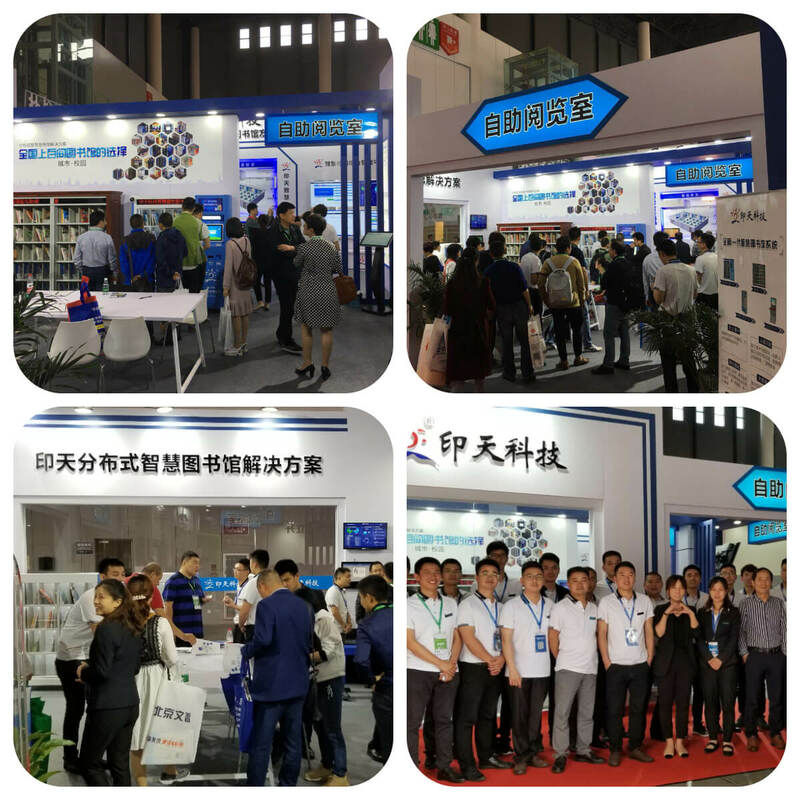 With the latest products and solutions, beautiful booth and considerate service, our booth appealed a large number of people to manipulate the showcased products and to exchange the idea and proposals with our colleagues for our future better research and development. We have pioneered the distributed smart library solution which would help in overcoming various limitations that traditional library has. 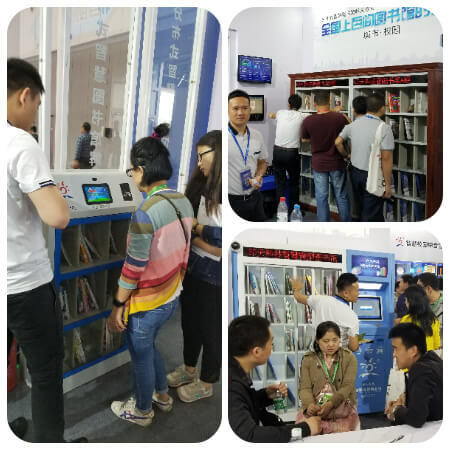 For example, Intech smart mini library can expand library service to any locations, which enables students to choose their nearest branch to save their time on back and forth between library and classroom. Smart book cabinet is designed to be placed in the classroom to make the books more accessible for students. Self-service kiosk supports 24/7 self check-in and check-out functionalities to reduce the queuing time. RFID smart bookshelf is able to control and identify ever-changing library materials in complex environments, thus, it can save time to conduct a complete physical inventory count for effective library management. We also displayed our library management system that serves as a platform to collect and convey data, and then seamlessly works with the sub-products via the internet. Most of the visitors appreciated this application because they thought it extremely facilitate library staff to grasp the real-time data from all branches. INTECH smart campus IoT solutions consist of a wide range of sub-systems, which can remotely monitor every corner of the school and a majority of equipment. We displayed vivid topological diagram and 4K HD monitor for visitors to help them understand how it works. Intech IWB has been widely used all over the world. 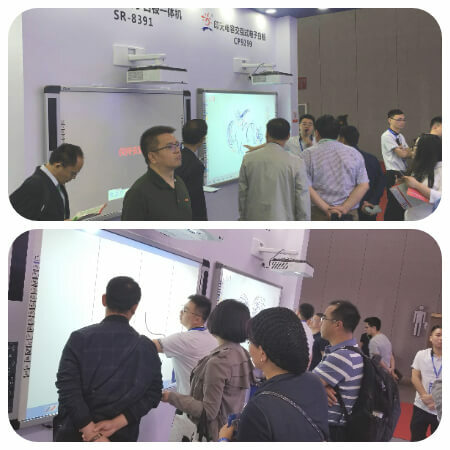 In this event, we only showed two series, infrared and capacitive interactive whiteboard. They feature with durable, stylish appearance, multi-touch functionality, smoother writing and easy to use software to foster an interactive learning experience. Intech is the leading smart IoT campus and smart library solution provider, which can offer you customized solutions. 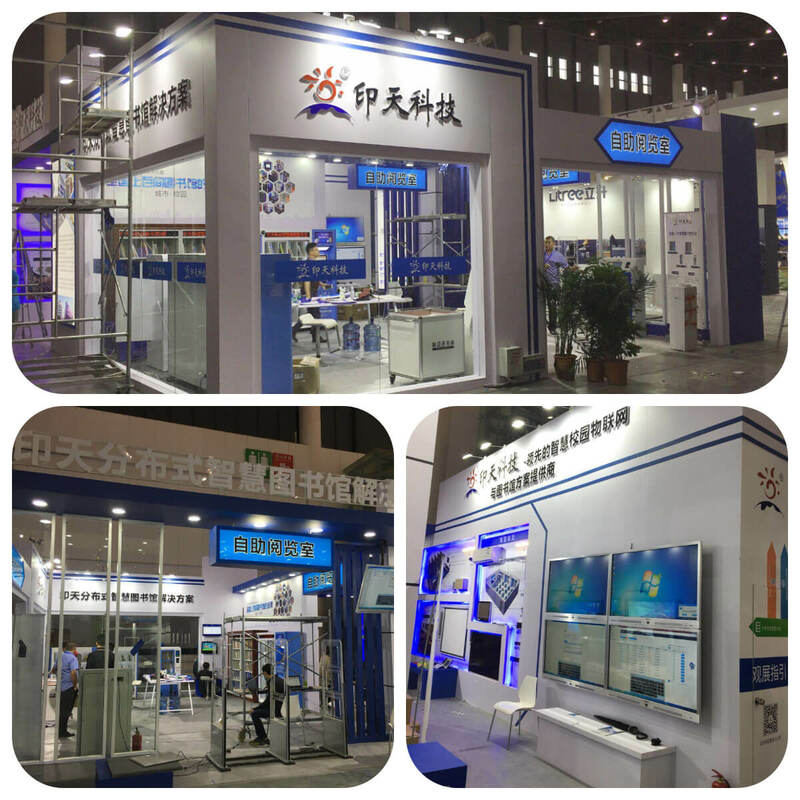 If you are interested in our products, please contact us via market@cnintech.com.